The 1st Generation of the iSpy series. Currently one of the worlds smallest all in one DVR covert wireless camera. Exclusive iSpy Technology: ElectroFlip imports directly from the manufacturer and is the ONLY Authorized Distributor of iSpy products. First Generation: This model is the very first generation of iSpy Micro DVR Video Camera Systems. 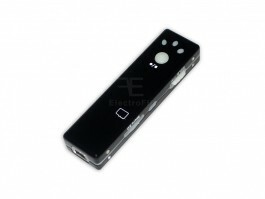 Small Gum Stick Design: This is the WORLDS SMALLEST modeled DVR camera, measuring a just 2.5 inches long and .75 inches wide. Clear & Sharp: Records color video/audio and stores up to 10 hours of achieved clips. Quality Sharp & Clear: 300k resolution (better than most PDAs and Blackberrys), viewing angle of 60 degrees(very wide), video format 320 x 240 (sharp detail) in .AVI format, which can be played on any computer or compatible cellular phone. Lithium Battery Included: You can record up to 2 hours of non-stop footage or take short bursts to stretch out the battery life over the course of a week. 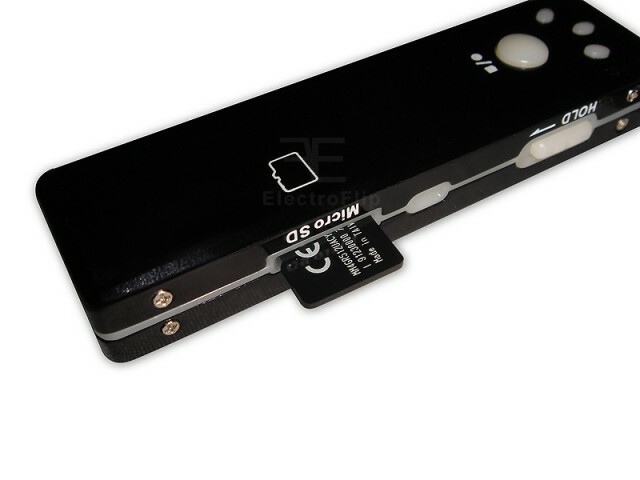 MicroSD Slot: Compatible with common MicroSD and MicroSDHC 2GB - 32GB memory cards. You can store up to 10 hours worth of video clips.